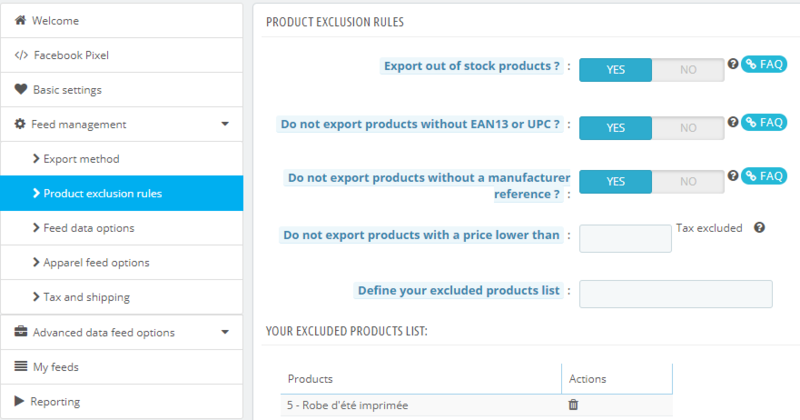 When you open up the XML file, if you observe that some products haven't be exported, this may be due to "Product exclusion rules" that have been set up incorrectly(*). 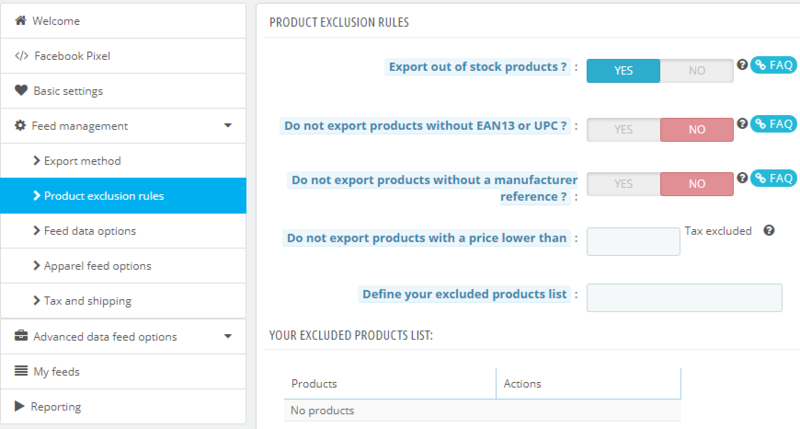 Don't forget to save the "Product exclusion rules" form (button at the bottom right corner). Then update your XML file. You should have now all your products. (*)Please note that the count you get on your progess bar when you generate your feed is based on all active products in your shop (and whose main parent category is part of the categories you have checked in the module configuration, "Export method" tab). So, this count doesn't take into account the products you have chosen to exclude. This is why the number of products exported in the XML file isn't necessarily equal to the count you get in the progress bar. If NO product is exported in the feed XML file, it may be a writing permission issue. In that case, please ask your webmaster for changing this permission in order to make it editable. How to check if my specific prices are correctly exported? How does the diagnostic tool work?